Another interesting operation safe and sound concluded by The Heavy Lift Group member FOX Brasil! 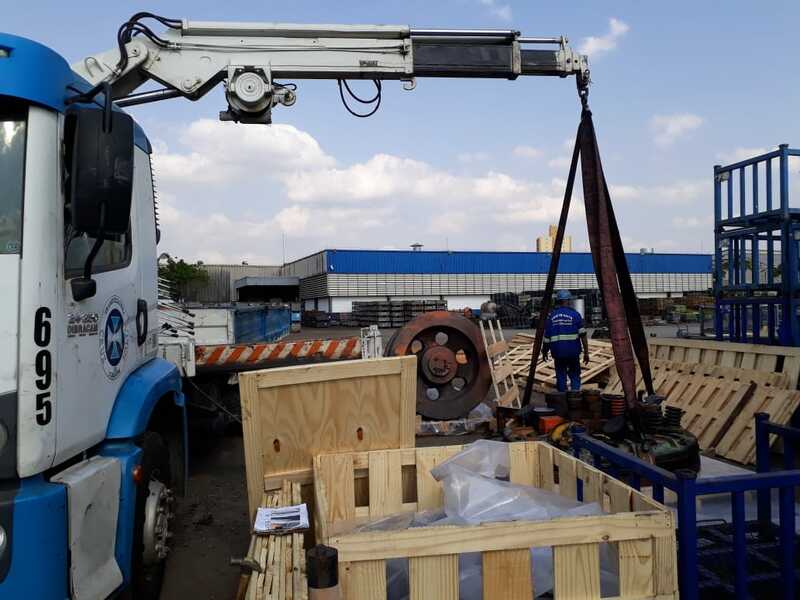 We have been awarded to move heavy machinery and presses of an automotive industry's plant from Brazil overseas, in what seemed to be a very challenging mission. The contractor ran a thorough analysis of FOX Brasil's technical capabilities and expertise, and among some other big players in the international logistics market, we were gladly nominated to perform this operation. 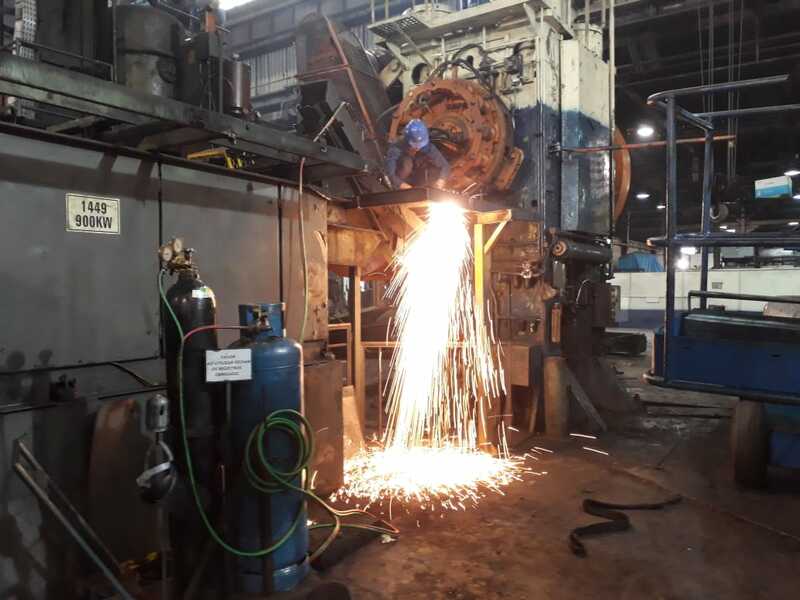 The demand consisted of moving two production lines through the transportation of 4 heavy presses and 1 furnace equipment. FOX Brasil engineers and project logistics experts conducted comprehensive feasibility studies and route surveys at the supplier industrial plant in Brazil, making sure that operations took place safely for the people involved, the load as well as for the adjacent structures. 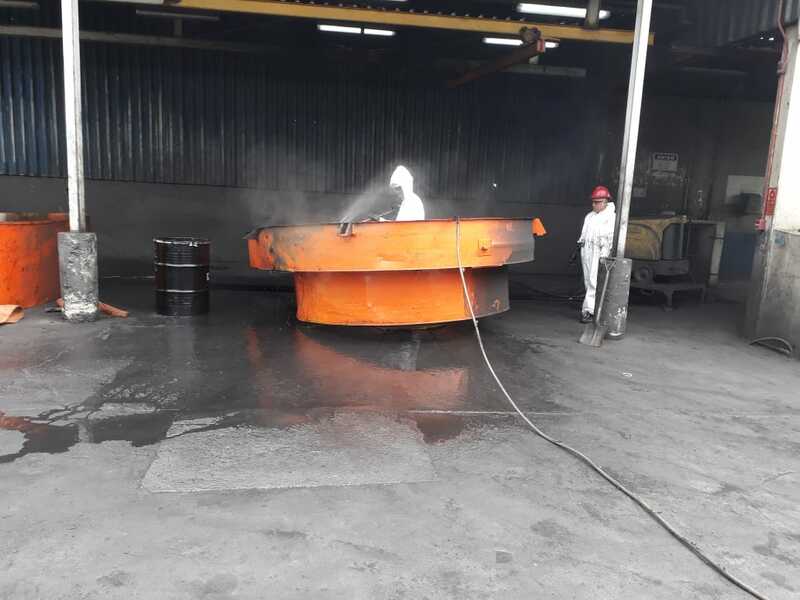 Once the studies had been concluded and the pre-project meeting had been done, our technical team could proceed with the production lines disassembly, rigging, heavy lifts wrapping and pertained fittings, furnishings and props packing. Each separate part performed using specialized heavy-lifting devices. 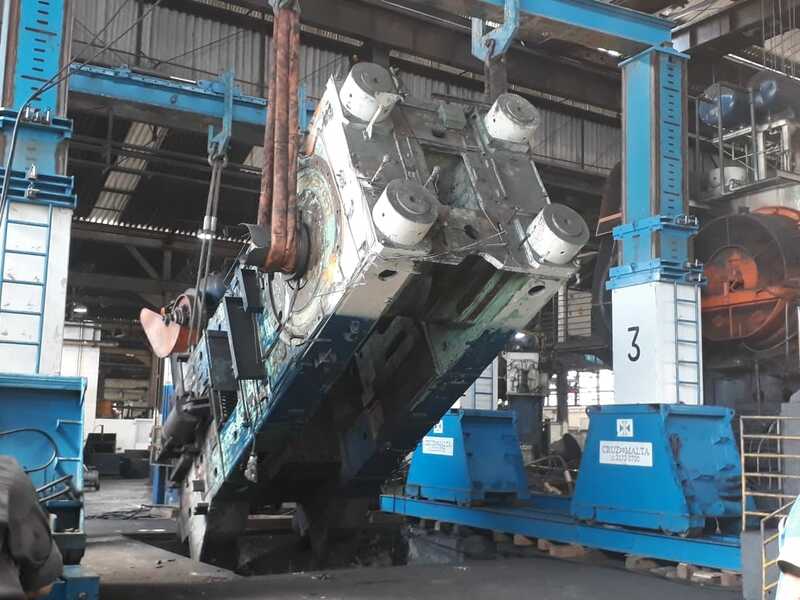 These presses and furnace have been assembled early in the ’80s, and close to them, many other equipments had also been installed, restricting the positioning and maneuver area for cargo lifting. Complying with the destination country regulations, all pieces were cleaned and prepared for the journey ahead before packing and wrapping. 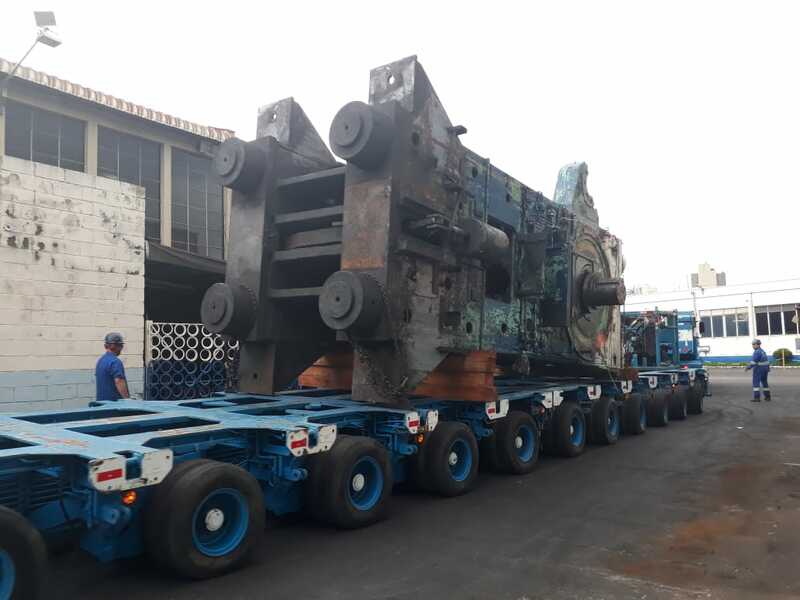 Tailor-made supports were designed and built to accommodate the heaviest pieces onto the 24-axle line modular trailers to be transported to Santos Port, as well as to keep the pieces steady inside of the ship's hold. FOX Brasil hired a floating crane to load the heavy lift on board of a Container ship. 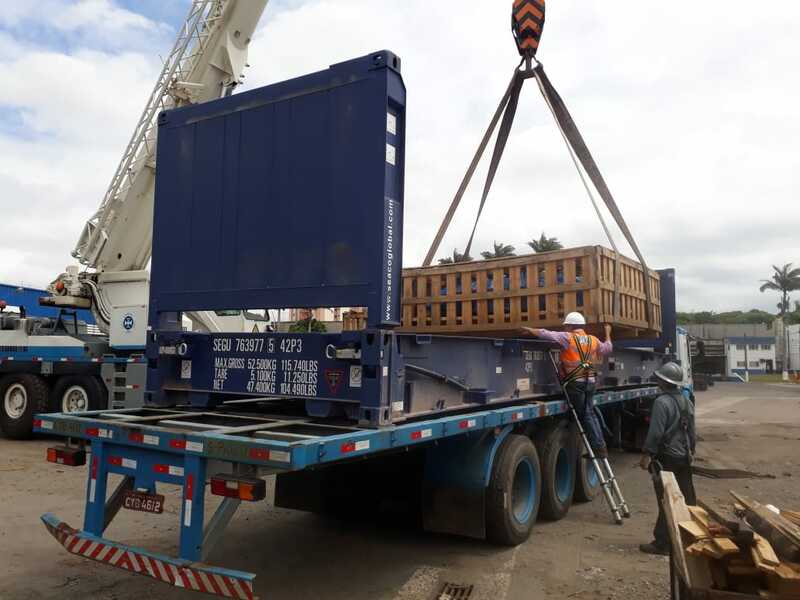 Next step of the operation was the delivery of the equipment to the final job site, performed by our partner overseas. The operation was a success, all safety requirements have been fulfilled and there hasn't been any damage situation. To conclude the operation, FOX Brasil's specialists will soon travel overseas to supervise the production line installation. Count on our team for the development of customized engineering plans that covers all the elements of your supply chain. With specialized know-how and state-of-the-art technology, we will enable the execution of your most challenging projects. For FOX Brasil, safety is paramount on project logistics operations.